As my time in Poland started to run out, I got more and more excited for my upcoming Czech adventure to start. The plan consisted only of 1) Get to Prague 2) Reunite with Eva (we had met hiking in the Himalayas in Nepal) and 3) Be totally awesome. It was a rock solid plan. To get from Warsaw to Prague, I decided to take the night train so I could arrive ready to rock. However, when buying the ticket (by far the most expensive train ticket so far), the woman at the counter asked me “Reserved?” which I thought meant “Do you have a reservation?” so I said no. Big mistake! Reserved, it turns out, actually means “would you like a seat or not?”. So I ended up spending the first 3 hours of the ride on the floor of the passageway until someone got off and I snagged their seat. After those 3 hours, the rest of the ride was a breeze. I even managed to get a little sleep. Early the next morning, Eva met me at the station and we were off to explore downtown Prague. 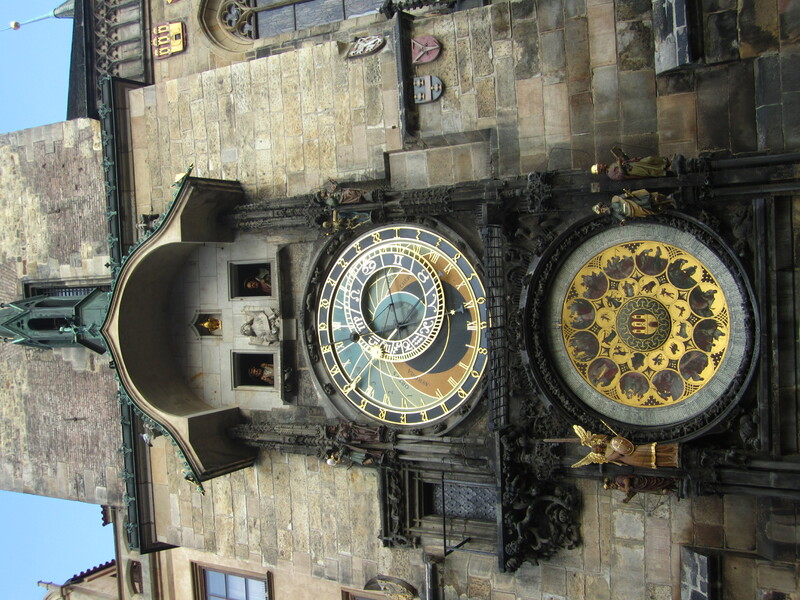 We dropped my backpack at her old office and headed to the Astronomical Clock. As Prague has frequently been referred to as one of the world’s most beautiful cities, I had some fairly high expectations. I was certainly not disappointed! 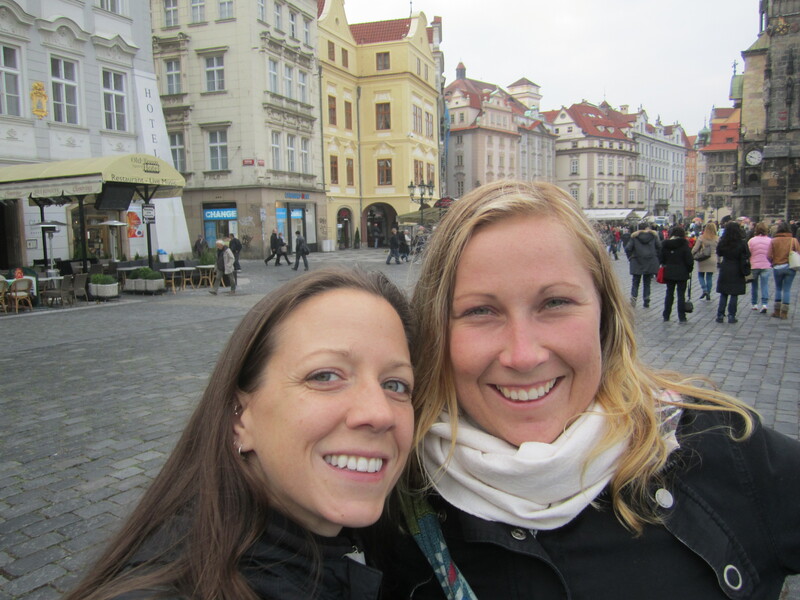 Eva and I wandered through the streets to Wenceslas Square (where I sang the Christmas carol non-stop), the Charles Bridge, had some delicious little sandwiches, and took in the sights. It was fantastic to get to spend this time with Eva. She made sure I was always looking up, as most of the buildings have some sculpture, painting or other interesting bits from the halfway point up to the top. I was welcomed into Eva’s home with her parents and felt so comfortable! We played games, ate really good food, saw amazing sights in the city and had a blast! Eva took me to the Prague Castle, where we even got to see the Prime Minister, totally by fluke! 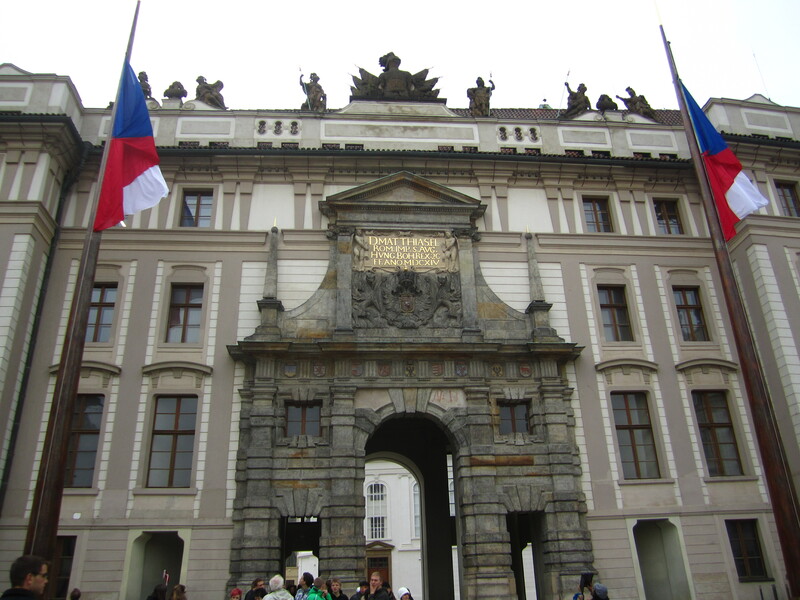 While walking, we stopped by the Wallenstein Garden and Palace which now houses the Senate. These were built by a man attempting to upstage the King. He confiscated 26 houses and torn them down to build his new home. He even went so far as to make the King uncomfortable by building a wall that is visible from the castle and looks like dripping mud (with hidden monsters, animals and faces in the drips). In the gardens surrounding his home, he kept peacocks, which still live there to this day. He believed he was important enough that the King could not do anything about it. That was not a good choice! Fearing his calculating mind, he was assassinated and eventually the home became State property. Eva even managed to arrange a trip out to Pilsen, the home of the Pilsner beer. Once we got there, it was straight to the beer museum for me! 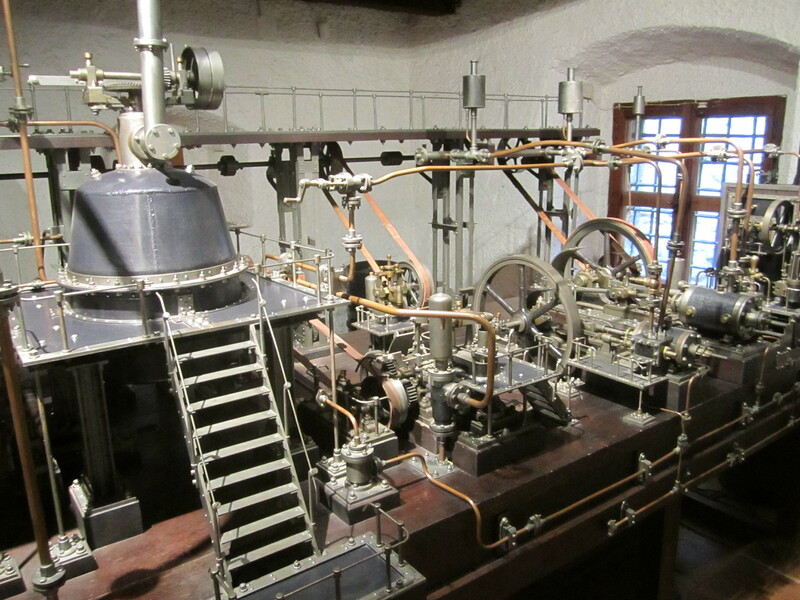 The museum is the only museum of its kind located in an original brewing house. It even had mock ups showing “Beer Culture” . Hahaha, I think I had that part covered on my own! Even without the beer, this was another really impressive town. Everywhere I looked, I was in awe of the buildings and artwork. Maybe it is because Canada is so young so I haven’t been around this kind of atmosphere as much as others, but I keep finding myself fascinated by the history of these centuries old buildings. They have been witnesses to the lives of so many people and so many interesting and crazy things. Ohhh, if these walls could talk! On the way back to Prague from Pilsen, we left the highway and drove through the winding, tree-lined country roads. 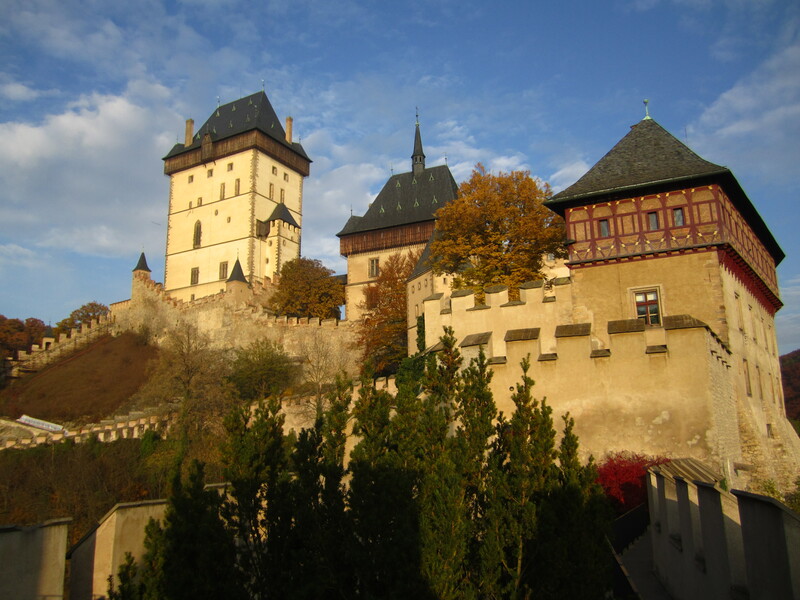 We stopped in a little town that just happened to have one of the most historically important castles in Czech Republic nestled in the valley of the surrounding hills, with the fall colours, clear blue sky and crisp air adding to the atmosphere. We walked up to the top of the small hill it was built upon and saw a couple of school groups and tours at the gates to the castle. 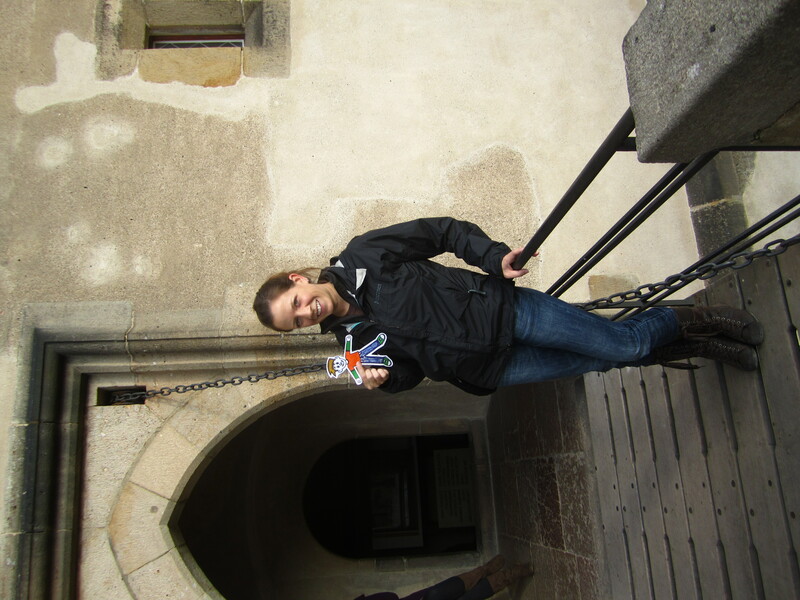 At this point, Flat Stanley snuck out of my purse and started to run up the castle steps. Of course, Eva and I chased after that little rascal and ended up on the inside without the required tour. Oh Stanley, what a little trouble maker! However, the view from the castle walls was incredible and the history and treasure kept at the castle is remarkable. We even had a couple of wafer snacks to top it all off. What a perfect day! When we got back to Prague, we had a much-needed chill out day. Travelling like this is an amazing experience, but believe it or not, it can get pretty exhausting. These days of relaxation every now and then are life-savers! With my energy levels almost restored, we took another day to roam around the city, taking a walk to the Lennon wall over the Charles Bridge. While we were on the bridge, we passed some musicians and Eva dropped some money into their hat. They asked where she was from and were surprised when she said Prague. They told her they thought maybe she was Canadian…how wierd!!! I loved that! That night, we went to on of the coolest pubs I have ever seen. It was made up of a number of different rooms and took up 3 floors. The first room we walked into was made almost completely out of machine parts…the seats, the lights…everything! And the best part was that a lot of it actually worked! We had a great night before heading back to the apartment for my last sleep in Czech. Early the next morning (early meaning 3am!!!) Eva and her dad drove me out to meet a friend of theirs. They had arranged for me to get a ride in a big-rig to Budapest! The adventures just keep coming!!! This entry was posted in Czech Republic, Traveling and tagged Beer, Castle, Clock, Pilsen, Prague. Bookmark the permalink. 7 Responses to Czech It Out!!! Hello ~ just want you to know how much I enjoy reading your blogs when they are posted. Thanks! Sorry I have been so slow in getting them posted…I have more coming! Sounds like you were well taken care of in Prague! Would love to see that pub! I was very well taken care of! I was just thinking of you and Nate…I walked past an Irish Pub! hehehe. I think you’re actually a bad influence on poor little Stanley. Don’t try to blame the flat kid for your shenanigans. Mostly I’m just lashing out because I’m jealous. I love Prague! And I can totally picture you rocking the big rig!!! Stanley was a little scared of the truck…what a wimp. You are going to be even more jealous soon…I think.